With Bitcoin relatively stable these days, the rest of the cryptocurrency market gets a chance to shine. In the last 24 hours, many altcoins have made significant gains. 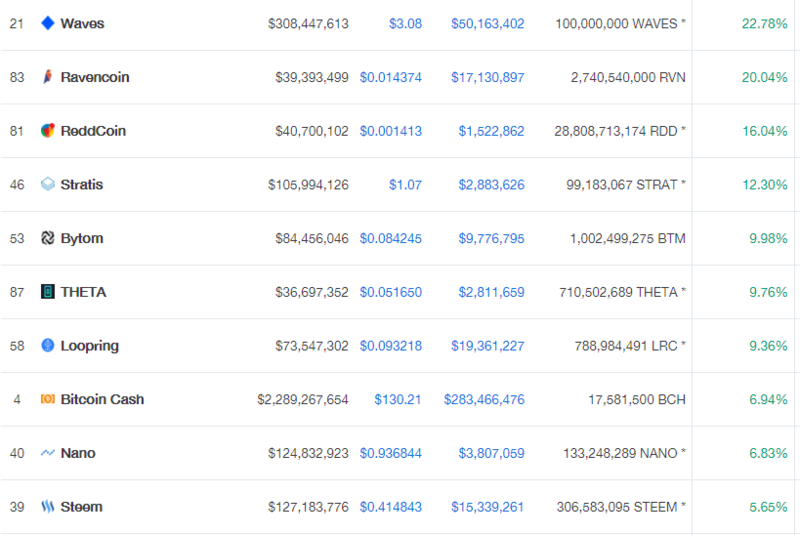 Waves is the top performer in the top 100, being up almost 23%. - Behemoths are slow, even micro ones :) So the promised ann will happen next week. Next to those developments, there is an upcoming airdrop of Vostok ($VST) to Waves holders in April. Waves is not the only project on the rise today. Ravencoin has seen gains of 20%, and Reddcoin is up 16%. Stratis is also on its way up, with the price surging 12% to $1.07. Bitcoin Cash is standing out as well, being up 7%. Other good performers are Nano, Steem, IOST, Loopring, Bytom and THETA. Meanwhile, there is some movement in the top 20 as well. As mentioned before, Bitcoin Cash has seen a 7% growth over the last 24 hours, but Bitcoin ($3602), Ethereum ($118.78) and XRP ($0.31) are relatively stable with gains of 0.35% to 1.37%. EOS is showing promising signs as well, rising $4.25%. Are you bullish on Waves? 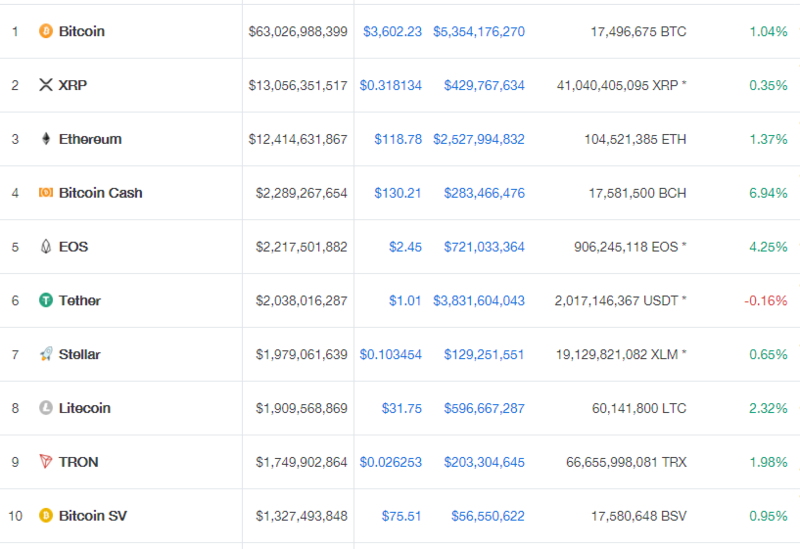 Nice that in top 10 there are no stablecoins like USDC and Paxos that have backdoors and questionable reputation.